Traffic around O'Hare International Airport will now be easier for drivers after new ramps connecting Interstate 290 to Route 390 opened Monday morning. CHICAGO (WLS) -- Drivers should have an easier time getting around O'Hare International Airport after new ramps connecting Interstate 290 to Route 390 opened Monday morning. However, the morning traffic wasn't smooth when confused drivers caused a 15-mile backup on 290 from I-55 to Thorndale. Officials hope it'll get better once people are used to the traffic pattern. 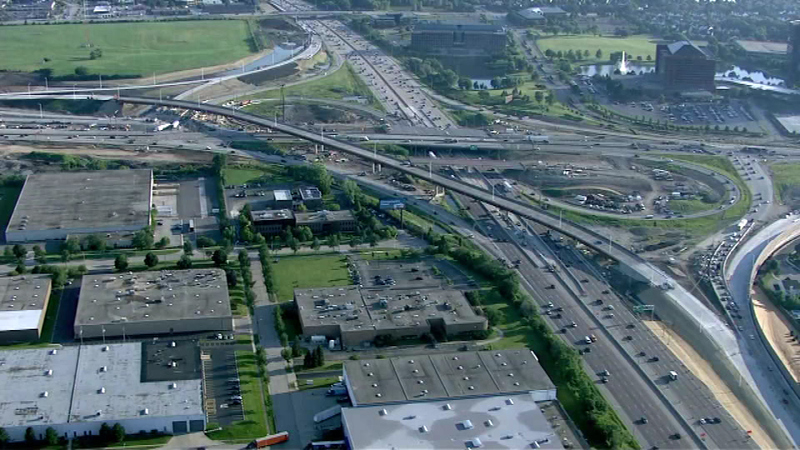 Route 390 was formerly known as the Elgin-O'Hare Expressway. Illinois Tollway officials said the ramps are expected to improve traffic flow throughout the western suburbs as part of the Elgin O'Hare Western Access Project. When the project is complete in 2017, officials said there will be a total of 17 new ramps and 15 new bridges.